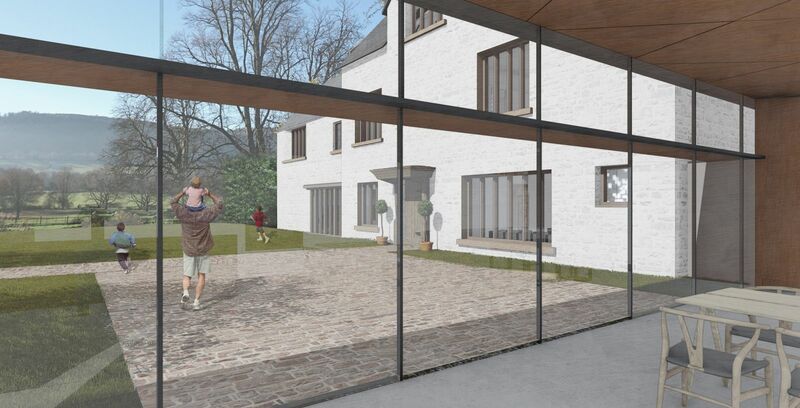 Planning permission has been granted by Monmouthshire County Council for the significant remodelling and extension of Great Hardwick Hall, an important 16th Century manor house on the banks of the River Usk. 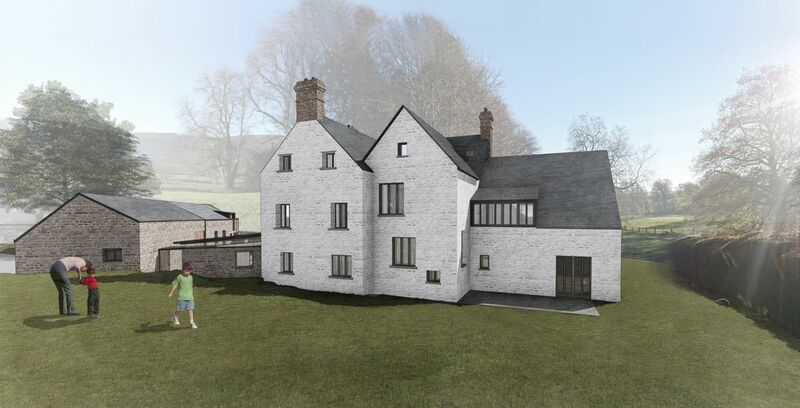 The scheme involves the restoration of the building’s historic core, the internal reorganisation of the 8 bedroom house’s interior and the construction of a contemporary kitchen wing. 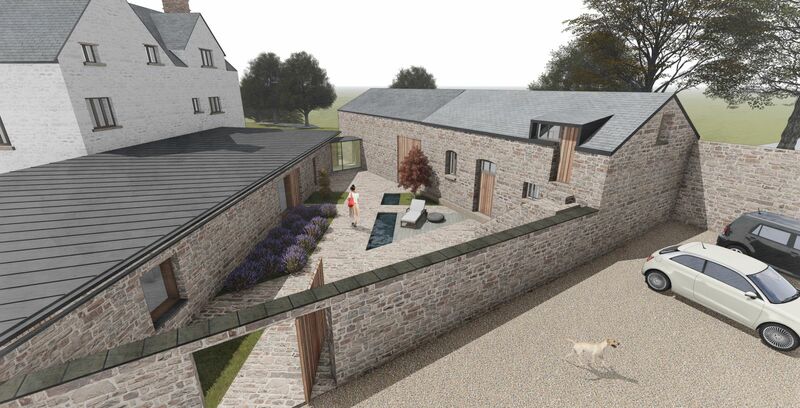 An indoor swimming pool housed in a sunken pavilion and a new walled garden augment the original buildings. 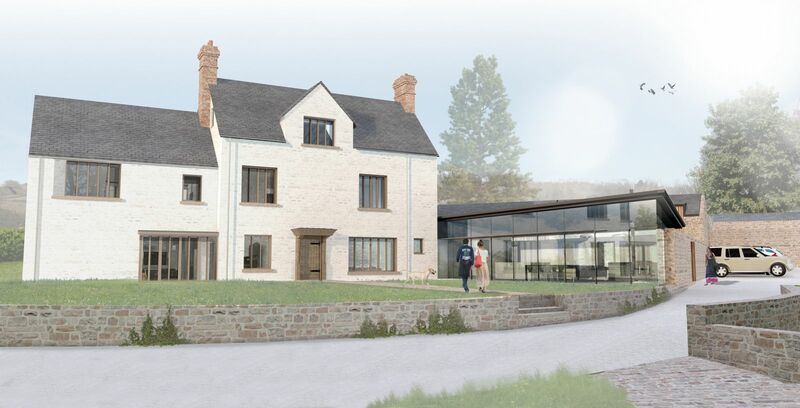 Work will commence on site in 2018.